Honey coated almonds, garlic cashews, roasted pine nuts, coffee pecans, unsalted peanuts, cheese macadamia, plain walnuts, earl grey chunks, soy mixed, assorted mixed, dried mangoes, jumbo raisins, dried cranberries, strawberry mixed, cherry mixed, turkey figs, pitted prunes, lychee plums, olive plums, dried apricots, organic mulberries, mixed berries, dried orange peels and the list goes on. 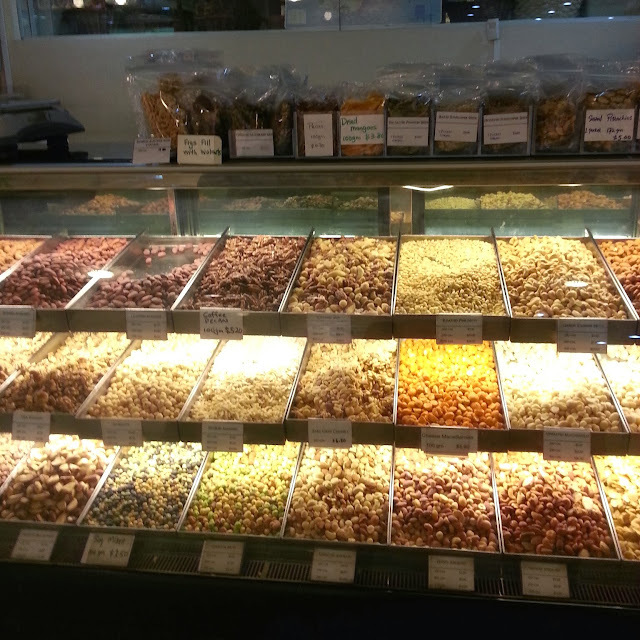 Not a fan of nuts and dried fruits? 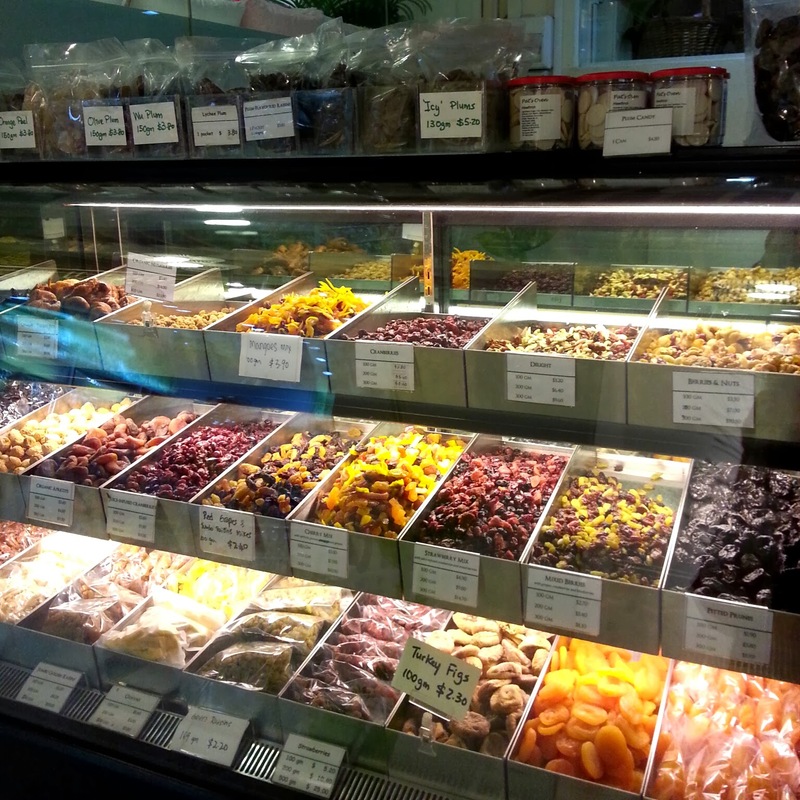 They even sell home made plum candy! If you're in the vicinity of Marine Parade, you can check out Pat's Oven in Parkway Parade mall. You got to look hard enough for this store because it's partially hidden next to a wine outlet (where the tables and chairs of the wine outlets are). This store is such a brilliant, I can get all I want to go with my breakfast cereals or some healthy snacks to munch. Nice, really nice!